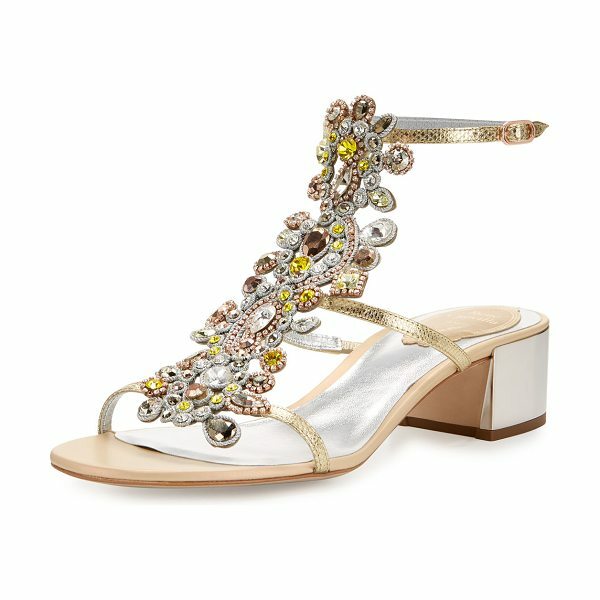 EXCLUSIVELY AT NEIMAN MARCUS Rene Caovilla karung snakeskin sandal with crystal embellishment. 1.8" covered block heel. T-strap vamp. 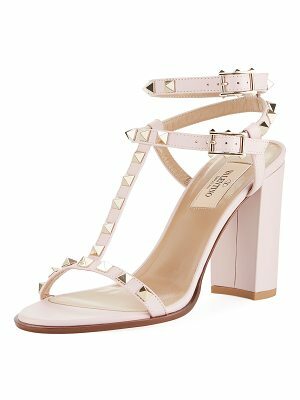 Adjustable ankle strap. Smooth outsole. Made in Italy.